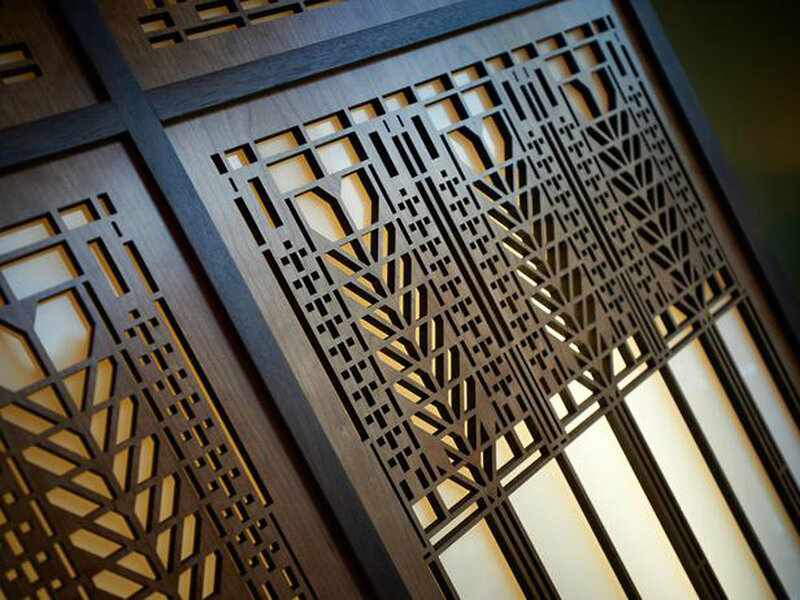 Lightwave Laser, Inc has been an authorized licensee of Frank Lloyd Wright designs since 2009. The Frank Lloyd Wright Foundation grants licenses on original FLW designs, which are then created into new products. The Foundation holds the highest of standards and we are proud to be in the top 10% of licensees. Based on owner, Ron Macken's, lifelong interest and appreciation of architecture, Lightwave Laser has used historic sources and created new designs adapted from Wright's original work. Our high quality and elegant adaptions have been featured in museum stores and galleries across the country, such as; the Art Institute of Chicago, Fallingwater, the De Young Museum of San Francisco, and The Metropolitan Museum of Art.